Our Certified Cosmetic Surgeon, Dr George Mayson, has established an enviable reputation in Melbourne for delivering beautiful, natural-looking Breast Augmentations under the highest and safest of standards. Our Surgeon: Dr George Mayson, our Certified Cosmetic Surgeon, has been delivering ‘Beautiful Breasts’ since 1998 and due to his high standards of surgery and patient care, Dr Mayson has a 100% Safety Record with never a single adverse event during surgery over all those years. Our Results: See our impressive Before/After Photo Galleries – the Number 1 reason patients come to us. Visit our Before/ After Galleries by clicking here. Our Consultations: Dr Mayson offers every patient our unique and very informative 2-hour Initial Consultation, the likes of which you are unlikely to find elsewhere. Moreover, the entire consultation is by Dr Mayson, not by a Nurse or other Employee. By the end of your 2-hour consultation, you will know everything you need to know about Breast Augmentation and be able to make informed choices regarding your surgery and implants. You’ll also have plenty of time to try on various implants before choosing the one that gives the ‘look’you like best. Implants: Although we offer ALL types of implants, we are one of Australia’s largest and most experienced users of the proven-safer Polyurethane Foam-Covered Silicone Implants. Sadly for patients, not all surgeons offer these despite their being proven on many studies to DRAMATICALLY reduce the risks of the two commonest complications after Breast Augmentation: Capsular Contracture and Implant Displacement. To find out more, click here. Costs: We appreciate everyone’s body is different and therefore we offer different cost packages depending on your choice of implants and surgical technique. In any event, each cost option is still performed under the highest standards of patient safety, care and comfort in a fully-accredited Hospital without any overnight stay required. Take the first step today toward achieving your new ‘look’ by calling Breast Excellence Melbourne on 1300 73 63 53 and have an obligation-free chat with one of our friendly Clinical Advisors. 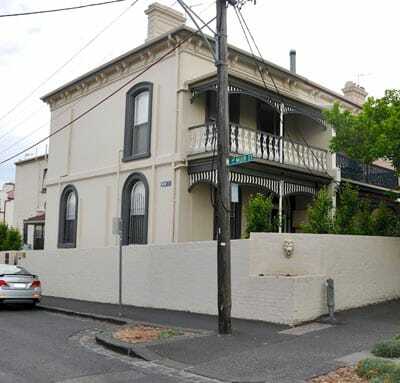 We are located in Richmond’s medical precinct in a beautiful terrace house on the corner of Erin and Muir Streets with access from Muir Street. There are easy tram and train connections and car parking is available either on the streets around our office or in Epworth Hospital 5 minutes’ walk away. If Coming to Richmond from the City By Tram: Catch Tram 48 towards North Balwyn from Collins Street or Tram 75 towards East Burwood from Flinders Street and get off at Tram Stop number 15. If Coming to Richmond from the City By Train: The closest station is West Richmond station which is on the South Morang and Hurstbridge Lines. Richmond Station on Swan Street is a 15 minute walk away. Epworth Hospital Richmond, a very short walk away, has limited undercover parking. The car park is open every day from 6.00am to 10.45pm. The entrance to the car park is on Bridge Road. As there are limited spaces, the car park becomes full at times.